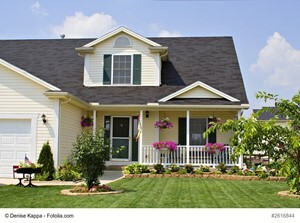 The number one factor that affects the length of time a house remains on the market is curb appeal. That&apos;s the consensus of real estate professionals across the country, and was documented in a recent study by a well-known real estate website. So if it&apos;s such a high priority, then why do a lot of homeowners skimp on that aspect of preparing their home for a fast sale? Sometimes it&apos;s a lack of awareness; other times it may be a lack of money. In extreme cases, it can be quite pricey to transform a home from "shabby" to "exquisite!" That&apos;s an unusual scenario, though, and in most cases the cost of enhancing your home&apos;s curb appeal should be both affordable and cost effective. The ideal visual (and visceral) effect you want to achieve can be summed up in ten words: fresh, well cared for, aesthetically pleasing, manicured, meticulous, updated, and clean. Perhaps a more concise way to describe the image you want to project to potential buyers is "pride of ownership." Once you&apos;re conveying that impression, people are going to make positive assumptions about the value and condition of your home. While it&apos;s not necessary that the front of your property and home look perfect in every imaginable way, it is important to pay attention to small details and overall impressions. Some homeowners will see this goal as an overwhelming challenge, but it doesn&apos;t have to be. The first hurdle is to take care of the basics, such as making sure your lawn always looks freshly mowed and that there&apos;s no signs of peeling or faded paint on your home and garage. Pulling weeds, placing a few colorful hanging flower baskets in strategic locations, and trimming overgrown bushes and trees are also effective ways to make your property look more desirable. One helpful tactic for getting your house noticed by house hunters and real estate agents is to take a walk (or drive) in your neighborhood to see how your curb appeal stacks up to other homes for sale in the area. 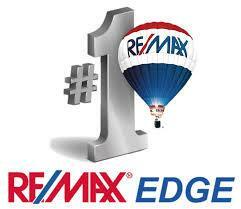 Ideally, you want your home to look at least as good, if not better, than other nearby properties. Since potential buyers may be focusing their search on specific neighborhoods, such as yours, you&apos;ll be giving yourself more of an "inside track" in the real estate market by making sure your home compares favorably to others in the immediate area -- both inside and out.